Cheers to the weekend! I hope you are enjoying yours right now! 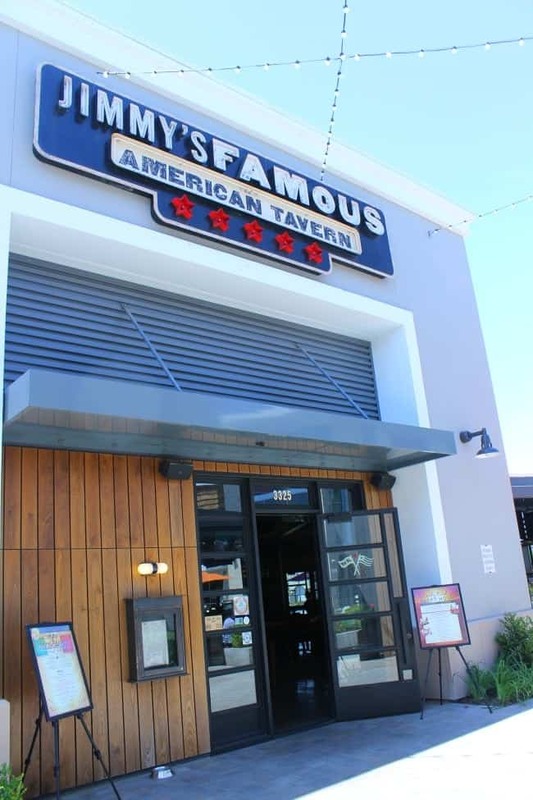 I am popping in to tell you about the terrific brunch I had last weekend at a recent media tasting at Jimmy’s American Tavern in Brea, California. I received a complimentary brunch and all opinions are my own. Now I do not eat a big breakfast during the week, but I really enjoy a good weekend brunch and the ability to enjoy a leisurely meal. We set off on our day and were able to partake in the Early Bird Happy Hour at Jimmy’s that started at 11:00 a.m. 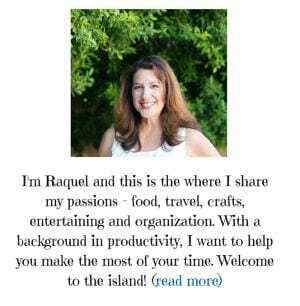 I am all about a happy hour and love the idea of an early bird weekend happy hour. 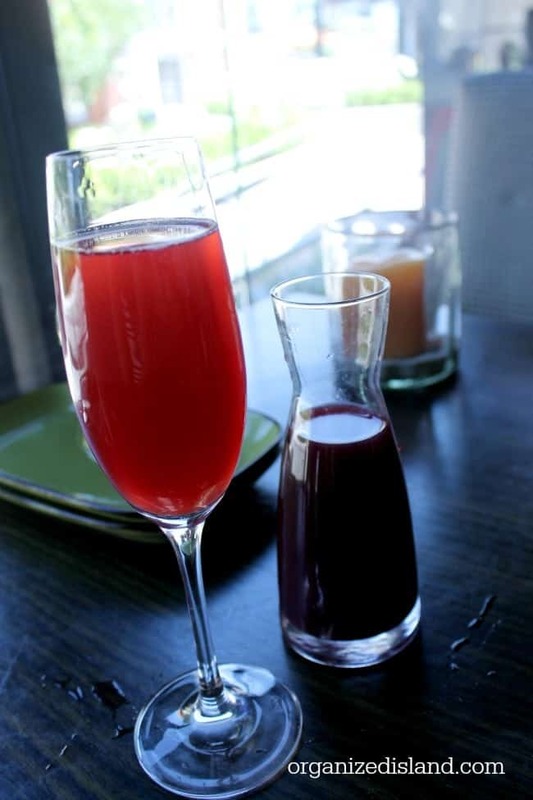 We started with one of their Pomegranate Mimosas and Another Tequila Sunrise, also made with pomegranate juice. This drink just set the right tone for a lovely weekend brunch after a hectic week. My hubby’s Tequila Sunrise was also a nice way to start the day. We toasted to the weekend and the morning! Because I am also a Bloody Mary fan, I ordered one of their Mary Meal Bloody Marys – one of the loveliest Bloody Mary’s I have tried! This was so good! 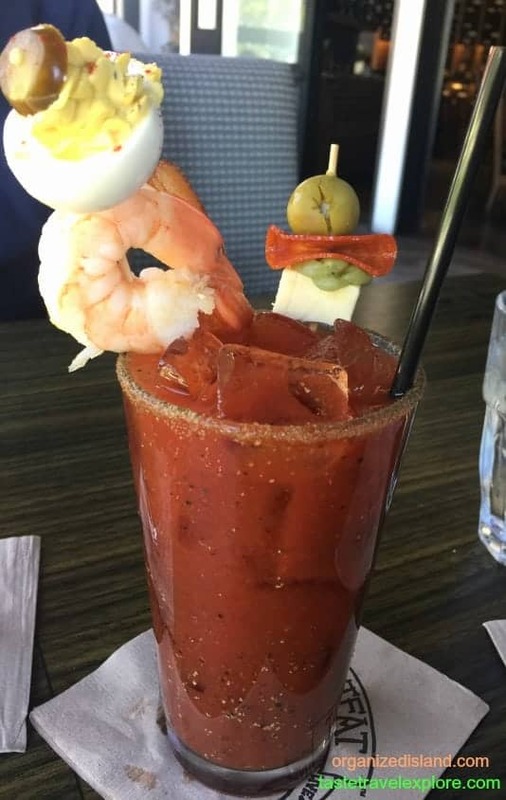 They also have a Famous Mary – made with Absolut Peppar, a Blue Cheese Olive, Pepperoni, Jack Cheese, Pepperoncini, and a Ballast Point Longfin Lager Chaser, which also sounded good. After looking over the brunch menu, I decided on Jimmy’s Breakfast Flatbread. 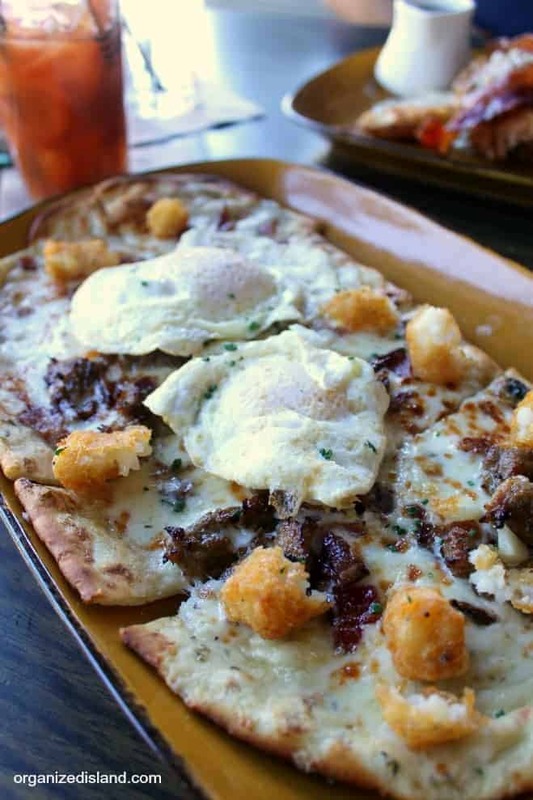 A delicious flatbread with sausage, bacon, eggs, taters and eggs! I loved the flatbread as a breakfast choice. The eggs were cooked perfectly as they sat upon the cheese and bacon topped flatbread, and the potato taters were a nice addition to the meal. It was so good and I ended up taking some home in a doggie bag as it was a generous portion! My hubby had the Buttermilk Fried Chicken & Malted Ale Waffles. 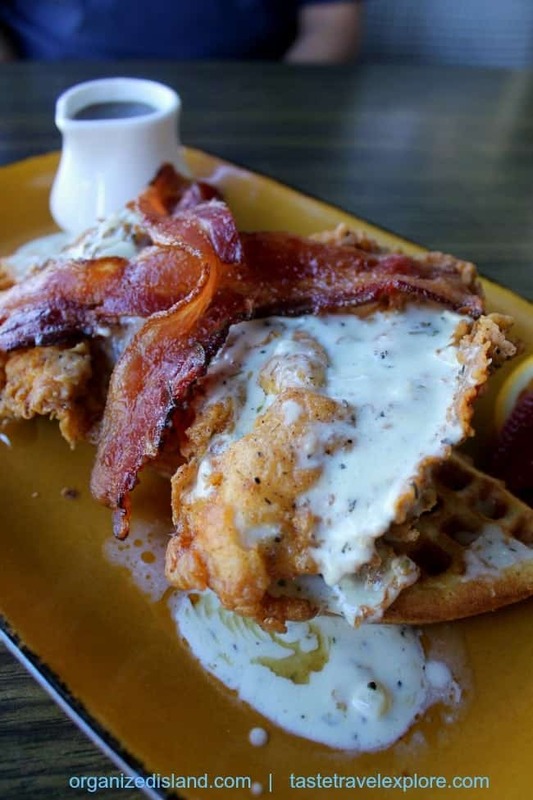 Crispy buttermilk chicken, freshly pressed waffles, maple syrup and applewood smoked bacon. Served with Thyme gravy, this was another tasty breakfast choice. 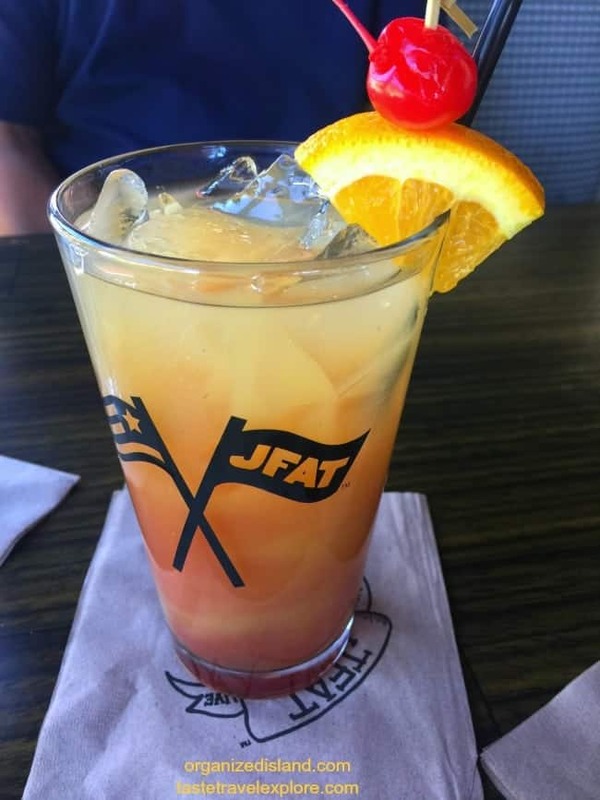 If you have not been to Jimmy’s Famous American Tavern, (affectionately known as JFAT), there is not a better time to try it. All locations are now offering their #1 selling Famous Mary, Champagne as well as all Mimosas for only $7 until noon at their Sunday brunch. Just as your server for the Early Bird Happy Hour. Southern Comfort Buttermilk Biscuit with creamed spinach, sage sausage, and poached eggs. It all sounds so good, doesn’t it? Jimmy’s has several locations in Los Angeles and Orange Counties. 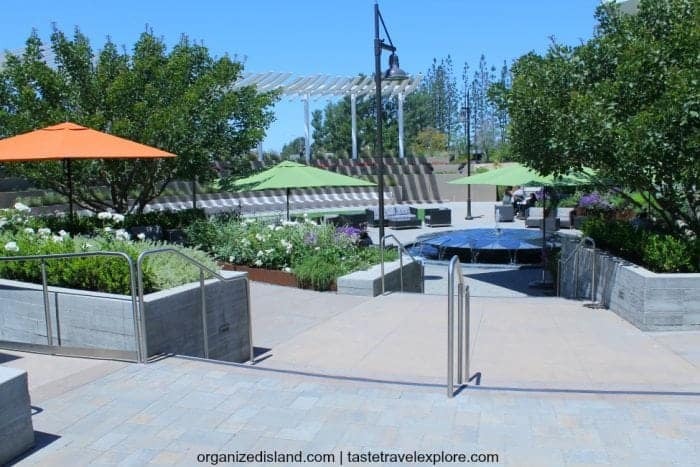 We enjoyed our brunch at the Brea location on a lovely Sunday morning, with a nice view overlooking the courtyard. 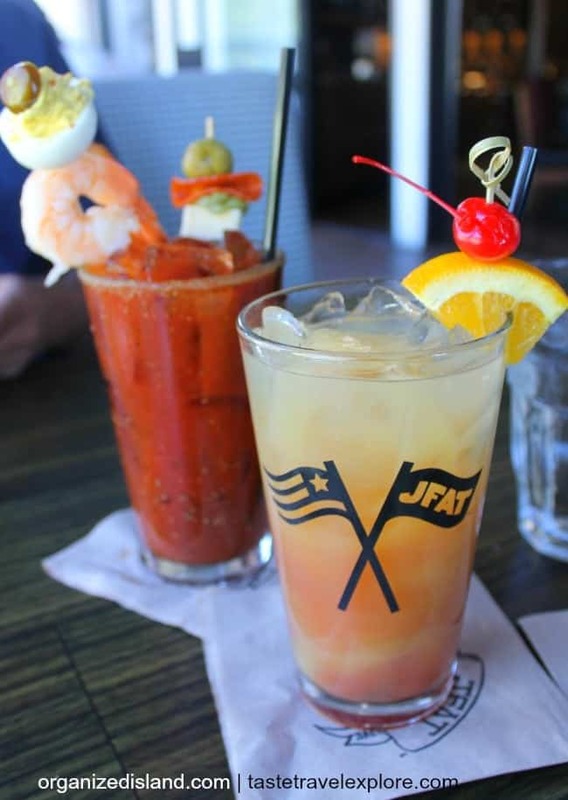 For more photos of the food and drinks, check out the JFAT Brunch page . 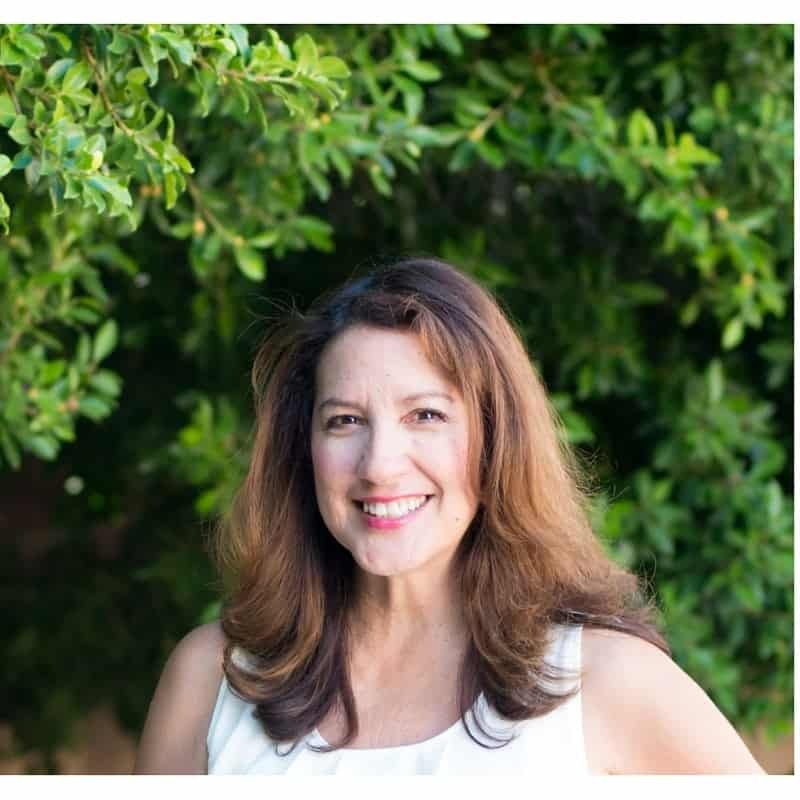 Have you checked out Jimmy’s yet? The Mary Meal Bloody Mary looks like quite a drink! Ohh… boy. That flatbread! I absolutely need to try that or make it myself, since I sadly live WAY too far from you.